Tom Cross wears many hats. He is currently Director of Security Research at Lancope where he works on developing network behavioral anomaly detection technology. He was previously a member of IBM Internet Security System's X-Force Advanced Research Team, where he focused on vulnerability analysis and edited the X-Force Trend Report. 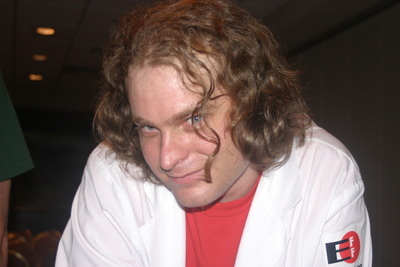 In 2001, Tom cofounded MemeStreams, a innovative collaborative blogging system that combines social networking and reputation systems technology. Tom has operated electronic communities both on the web and over the modem since 1991. He is also an Internet privacy and freedom advocate and frequently speaks on technology policy issues. In 1996 he cofounded Electronic Frontiers Georgia, where he participated in a successful effort to prevent the State of Georgia from banning pseudononymous speech online. Tom received a BS in Computer Engineering from the Georgia Institute of Technology in 1999. Wiki Voter Guide - A tool for researching upcoming elections with Wikipedia. MemeStreams - A collaborative blogging system featuring reputation system based filtering and social search. Tabjab - A social accounting system that helps friends and roommates keep track of interpersonal debt. "Puppy smoothies: Improving the reliability of open, collaborative wikis," First Monday, September 2006. "Internet Protocol Television," X-Force Threat Insight Monthly, March, 2007. "Academic freedom and the hacker ethic," Communications of the ACM, June 2006.